Who's ready for nail polish sweetness of diabetic proportions? 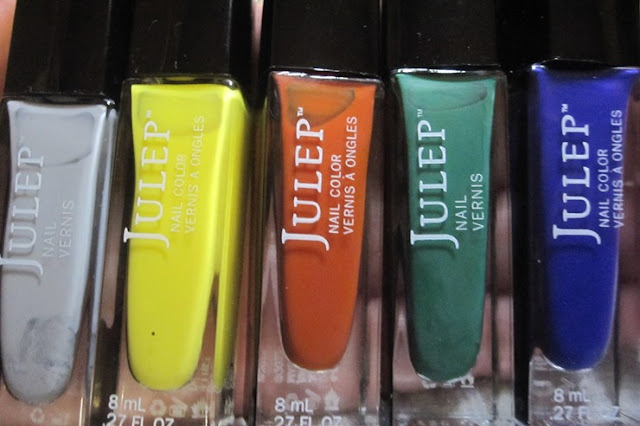 Yep, we're going to be looking at the Julie G Gumdrops collection, another textured collection of sweet, brightly-colored polishes. And, because I'm so intrigued by the idea of doing some kind of nail art with these textures, I thought I'd play around with some 3-D pieces for this collection. Sugar Rush. A bright, sparkly coral. 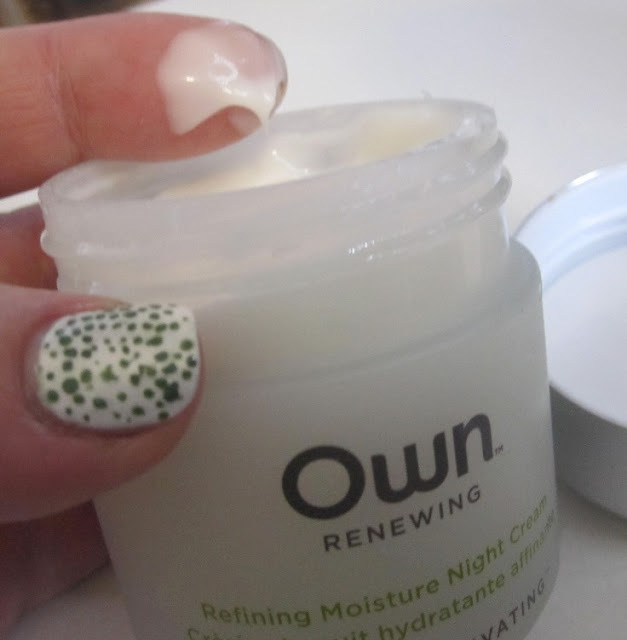 One coat is all that is needed, but if you do choose to add another layer, make sure that the first is completely dry.. or you'll get patches like on my index finger. Aren't those fimo butterflies totes adorbs? Tangerine Dream. Light, fruity orange with sparkle. These flowers are perfect! Rock Candy. This one and Blueberry Fizz are similar, and photograph similar, but they aren't the same. Rock Candy is a green-leaning teal, not a true blue. 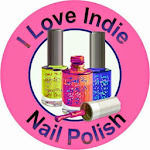 The bottle color is truer to reality than on the nails in this pix. Blueberry Fizz. 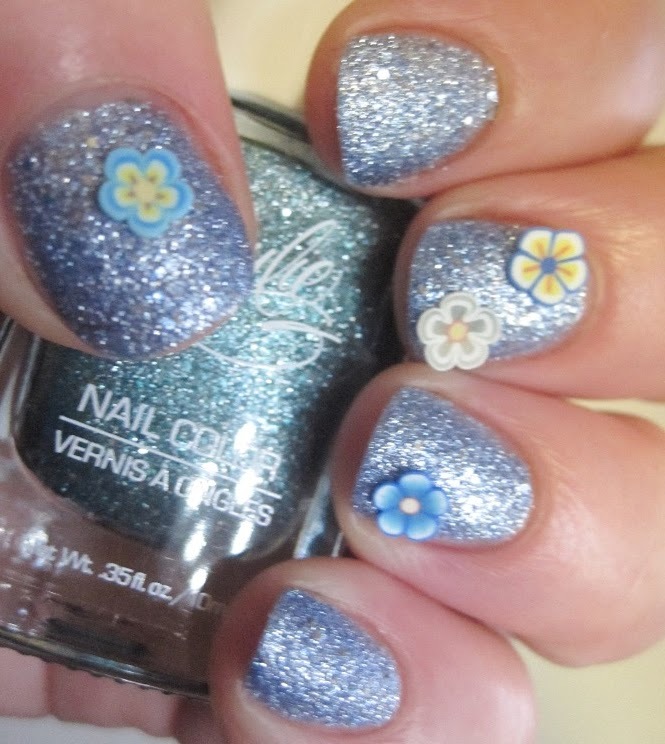 Icy blue sparkle, with bling! Crushed Candy. Is it a pink-leaning purple, or a purple-leaning pink? Not sure. It is tooth-achingly sweet, though! Hot Cinnamon. In the bottle, this looks similar to Sugar Rush, but there is no orange in Hot Cinnamon. It's a fiery red. A color this bold needs a bold statement with studs. These textured polishes are so versatile! 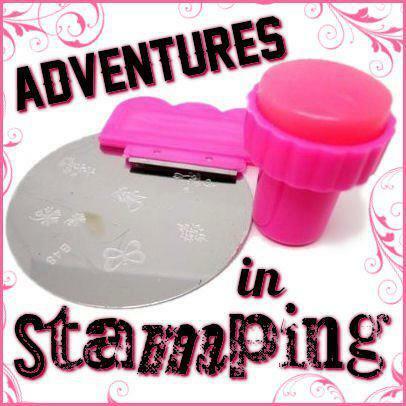 They can be stamped, used with nail art, as a base for 3-D decorations, and then change how they look with topcoat. What's your favorite so far? I've been having so much fun with these textured polishes, I decided to do some more. These Milani textures are like nothing else I have (though I suspect they are very much like the new China Glaze textured polishes) because they are creams, not glitters. All of these go on best with one thick coat of polish. The more coats you use, the softer the texture. All of them had terrific formulas - no pooling, no streaking, dried fairly quickly, removed easily, and I think they look pretty cool. Shady Gray and Yellow Mark. I loved this combo. Something about the somber grey and the pop of bright yellow. Spoiled in Fuchsia and Purple Streak. 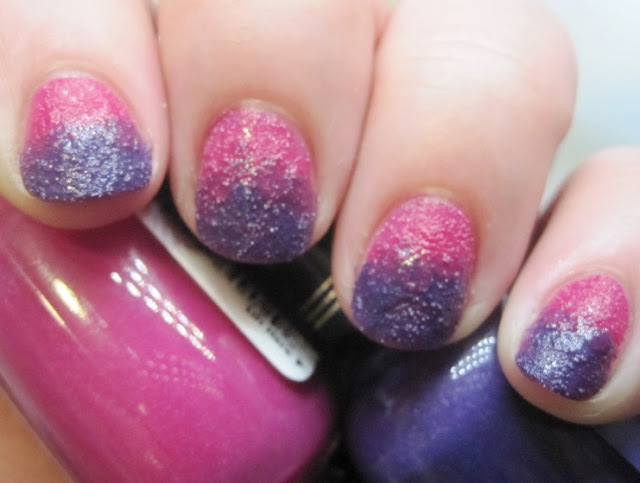 It was actually easy to do a gradient with these polishes. Usually, I do the full nail in the base coat, but I didn't here because I didn't want the texture to get too thick, and I knew I wasn't going to use topcoat. No sponge, either. Just painted the top in Spoiled in Fuchsia, and then the tips in Purple Streak, and then dabbed a little of each color at the meeting line to 'blend' the colors togther. Aqua Splash and Spoiled in Fuchsia. I thought these two colors were fun together. The aqua needed one more coat, however, because the formula was thinner. I didn't use tape, so the line isn't perfect, but the polishes are thick enough to make getting a straight line possible. Tainted in Red and Shady Gray. This red was one of my faves of the collection. Bright, vibrant color - so bright, in fact, that it freaked my camera out a bit, and only one pix came out clearly. This is a perfect ripe, juicy, summer red. I did funky French tips in grey for contrast. Still on the fence about texture? 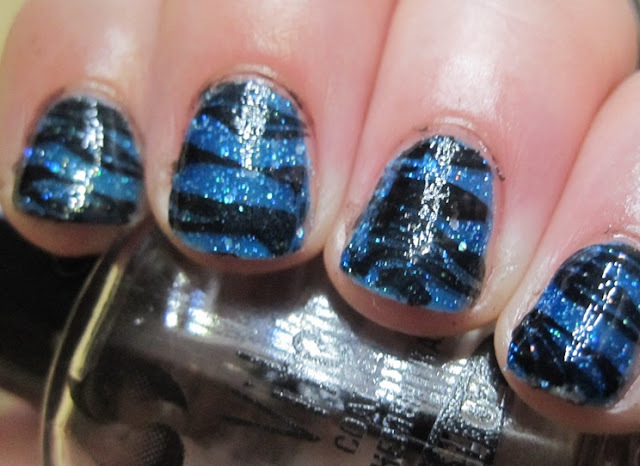 What do you think of this version with no glitter? Have you tried the China Glaze ones? From swatches I've seen, it reminds me of shag carpet. These are more like Berber carpet. Both OWN products were provided to me for review. Regardless, I make every effort to have my reviews be unbiased and honest. Through my relationship with iFabbo, I received the Own Firming Silk Concentrate and Refining Moisture Night Cream to try. The bottle of Silk Concentrate is a generous size - you don't need much, so 1 oz will last a while. The serum is fairly light and colorless, It behaved like an oil for me. 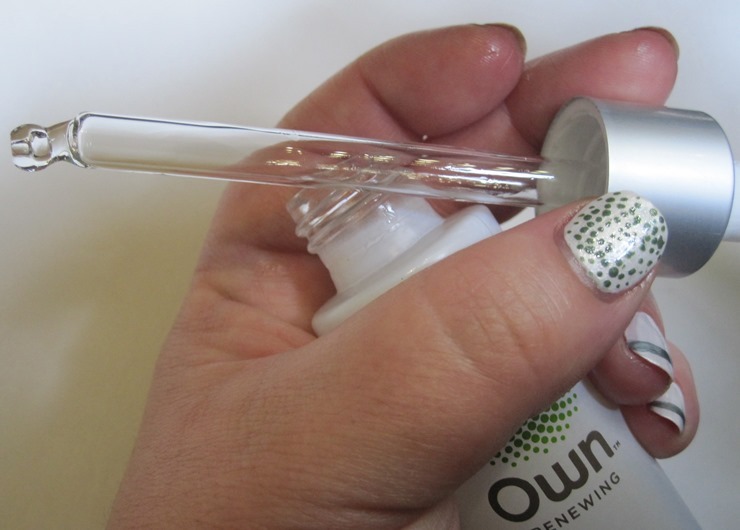 I love serums, and this one is paraben, sulfate and retinol-free. I applied it both in the morning by itself, and in the evening with the night cream, as directed. The company says that 95% of women agree that these products absorb quickly. Apparently, I am the 5%. I couldn't wear makeup over the serum, no matter how long I waited. When I woke up in the morning, my face would be greasy from applying the products the night before. I suspect my skin just doesn't need as much moisture as these products provide. For a 40+ year old woman, I have more problems with pimples than wrinkles. I suspect these would work better for those women with problem wrinkles and sagging skin. The products claim to be fragrance-free, but I wasn't a fan of the smell. I will admit, though, that I am one of those women that likes her luxury products to be the whole package - smell great, look great - AND work. The packaging for the cream had a weird rubberized texture that picked up every lint fuzzy and dog hair in my bathroom, unfortunately. It did make it easier to hold the bottle, though. After using the products for about 2 weeks and still having the greasy face problem, I decided to use the products on my neck and torso instead. They are great for a hydrating body treatment. The night cream made a great hand cream as well. Both products sell for $24.99 on their website. For more information, or to order, please click on my affiliate link: HERE. 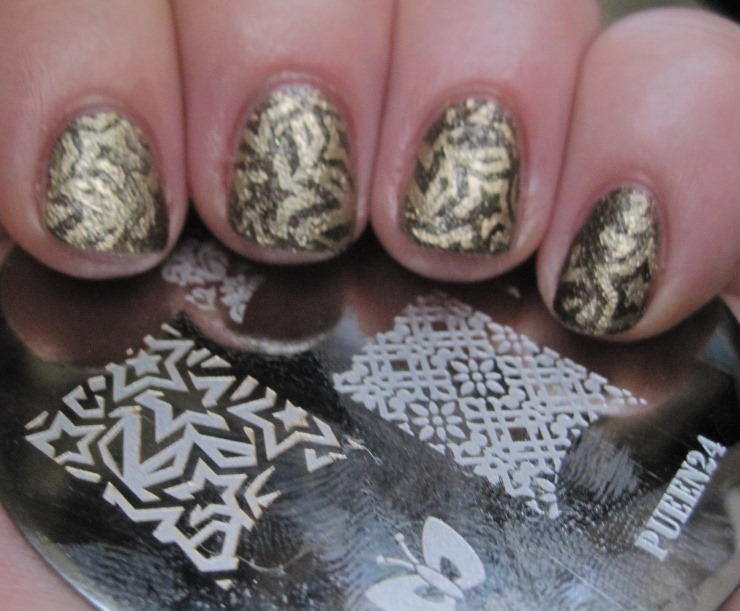 For today's Adventures in Stamping challenge, I needed to stamp a mani that reminded me of my favorite shoes. I figure a lot of the girls are going to be doing Louboutin or Jimmy Choo manis. Not me. My fave pair of shoes is my trusty Crocs Cleo sandals. Flat sole, two straps, black rubber. So, it seemed only natural to start with my fave black rubber finish polish, Cult Nails Fetish. 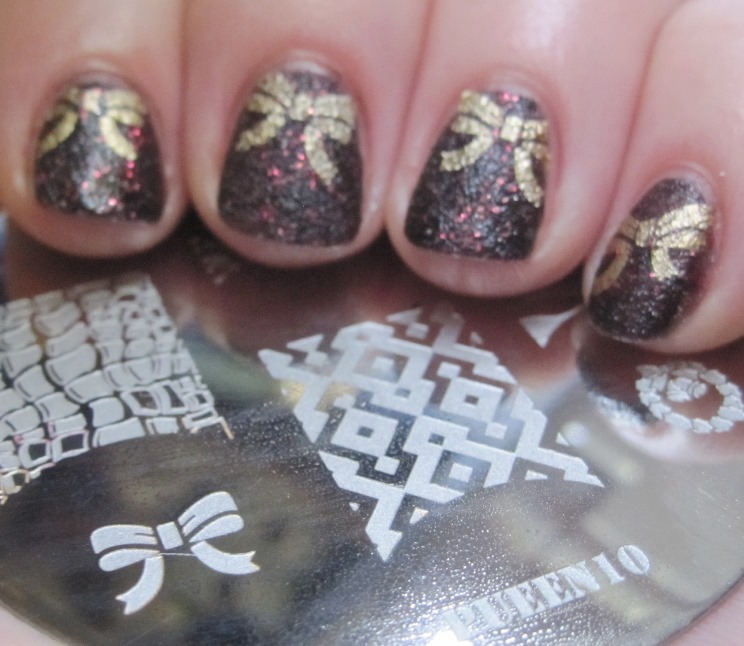 At first, I tried stamping with topcoat to get the shiny, but it didn't work for me (you can see the peeling on my pinky) so I switched to Finger Paints Black Expressionism. I used my Pueen 9 plate because that stamp reminded me of the texture on the soles of my Crocs. Subtle, understated, perfect for any location, any occasion. Just like my Crocs. I know some of you are hatin'. When you are seeing a podiatrist for your crushed, mangled feet, I'll be happy in my Crocs! Well, the texture thing for the last two days with Orly was so much fun, I thought I'd break out a few more textures and see how I liked them. I have three to show you today, all from OPI. Stay The Night. This was one of the first textured polishes to come out, with the Mariah Carey collex. I knew I didn't want all of them.. but this one was top on my list, number one with a bullet. 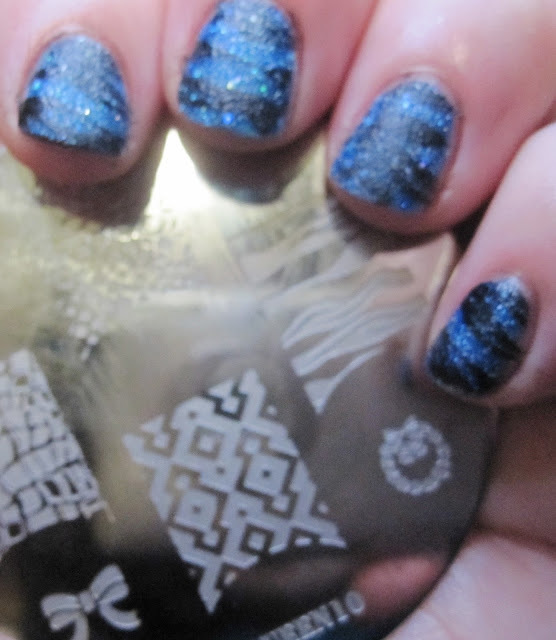 Even though there is a definite texture to the Liquid Sand polishes, they can be stamped over surprisingly well! 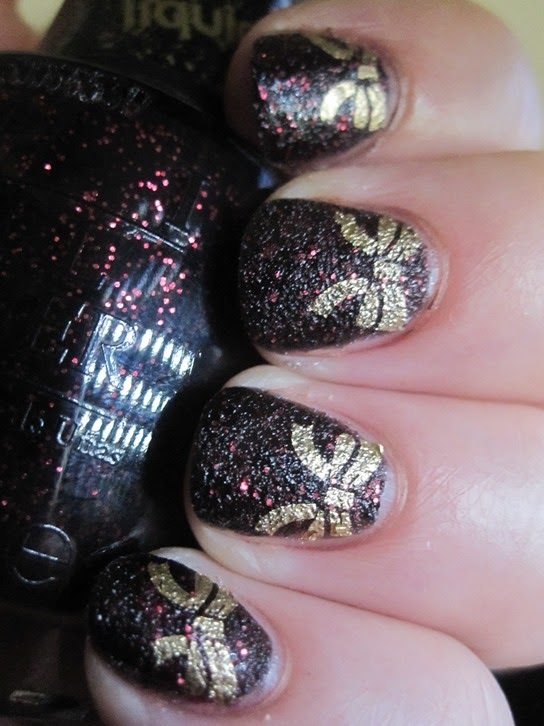 Here, I used Maybelline Bold Gold and Pueen plate 10. I love how the polish looks like lava flowing and cooling... the hot red flecks underneath the black ash. I love it, perhaps even more, with topcoat. Such a glow.. 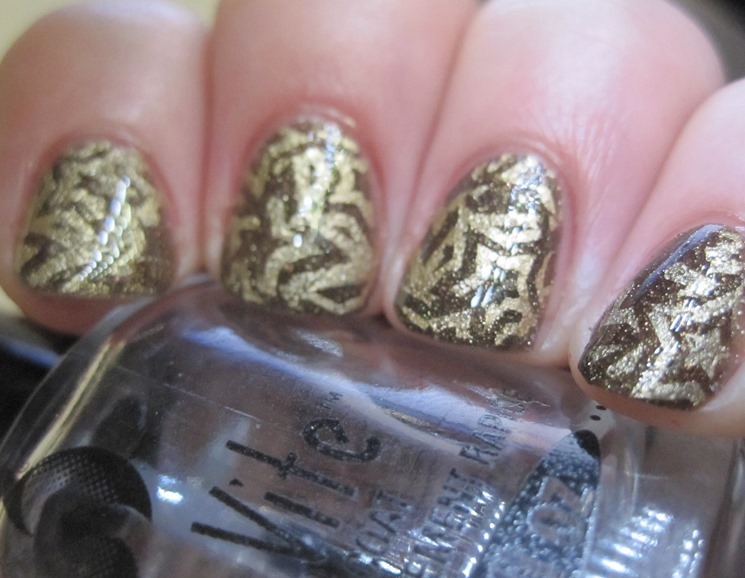 I had tried stamping with another color on my pinkie, but it didn't show up... until I put topcoat on! It's actually under the gold. Pretty cool, though unintentional, effect. Get Your Number. Also from the Mariah Carey collection, this and Stay The Night have something else in common - thin, runny formulas. Of all the other textured polishes I've tried, most look better with one thick coat of polish - but not these two. These are runny and thin, and take two-three coats to come together. Totally worth it, though. 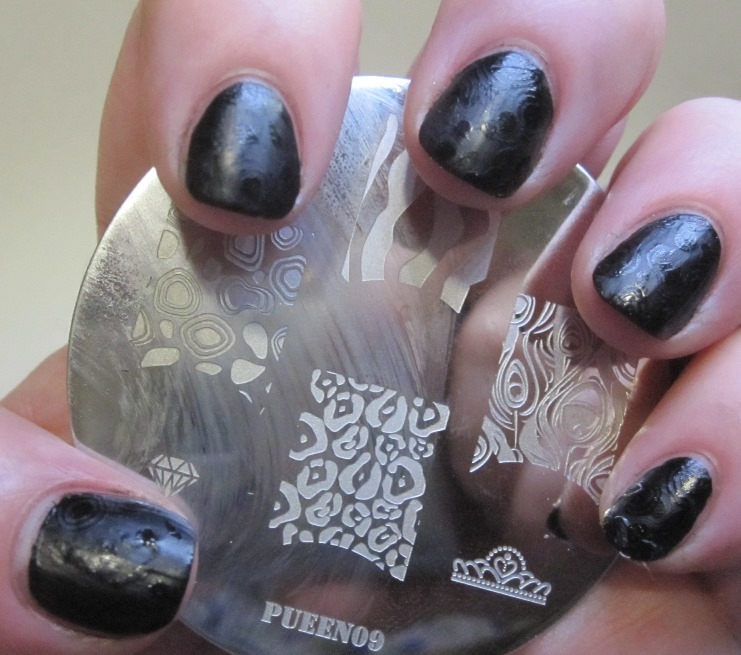 Here, I stamped with Finger Paints Black Expressionism and Pueen 10. There's something about these glitters that freaks my camera out a bit. 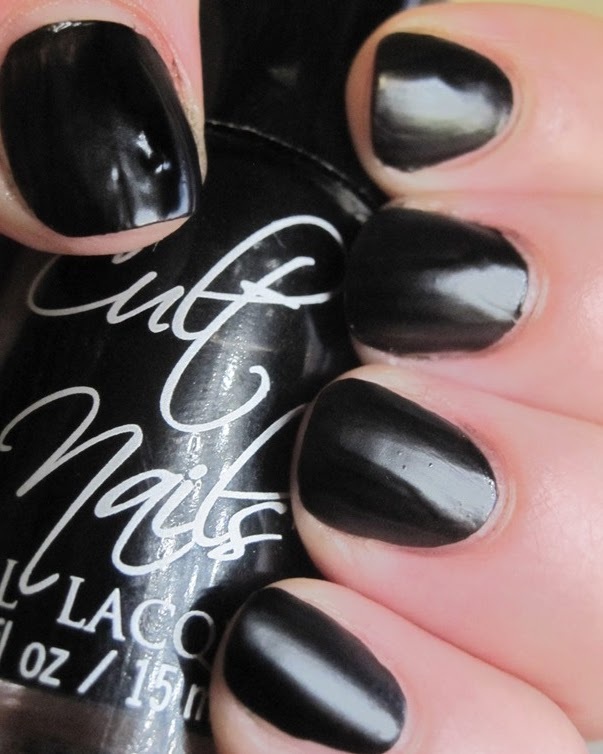 Love this with topcoat, too. What Wizardry Is This? This is the only Liquid Sand from the Oz collex. The formula is an improvement over the Mariah Carey ones - no more thin, runny polish pooling at my cuticles. 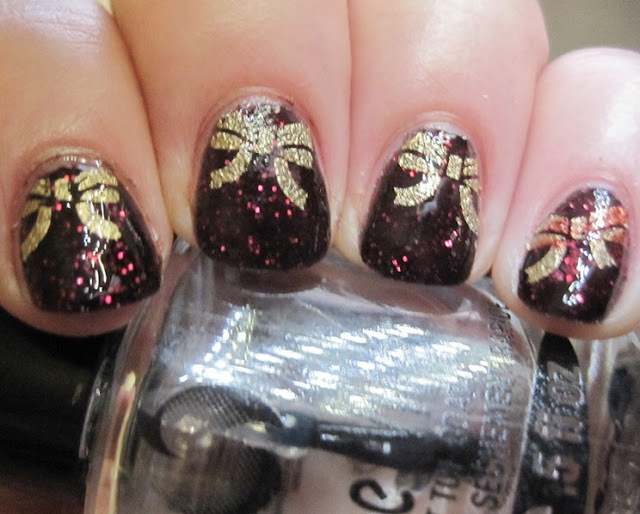 The glitter is very fine, so it has a nice texture, but it doesn't catch on anything, and isn't too rough. 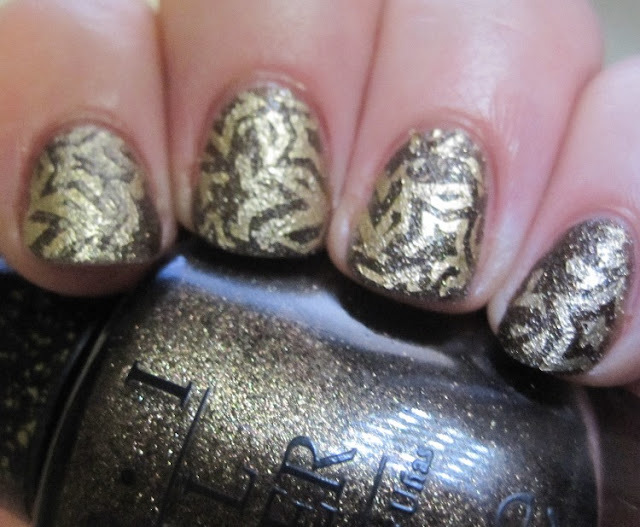 Stamped with Maybelline Bold Gold and Pueen 24. Even a large stamp has no problems on the Liquid Sand, other than my own ineptitude. 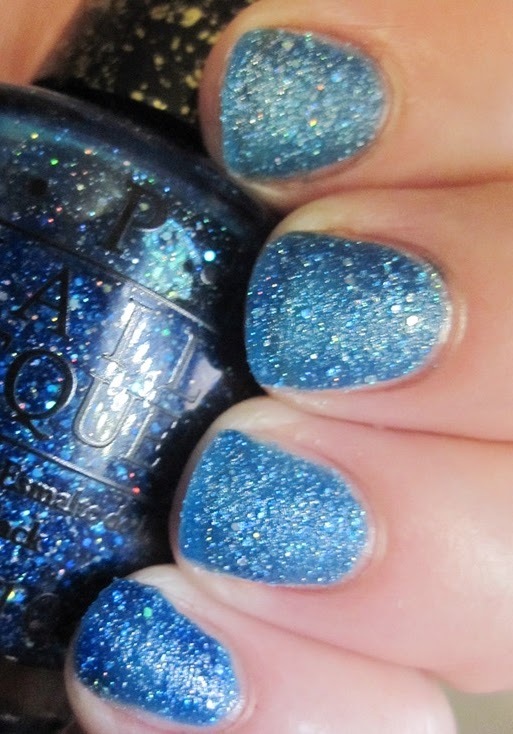 Great sparkle with topcoat. These polishes look beautiful both ways. If you remember from yesterday, I showed you two polishes from the Orly FX line, and how to create more colors, if you wanted. If you don't remember, it's still there, don't worry. Go look, and I'll be waiting right here when you get back. Plum Pixel. This is a very light purple, with heavy silver tones. Aqua Pixel. True to its name, I think. I like that it's not too light; not too dark. For this nail art look, i was inspired by a look from Polish Amour. I started my version with Cult Nails Tempest, which is quickly becoming my go-to white for the base of nail art. 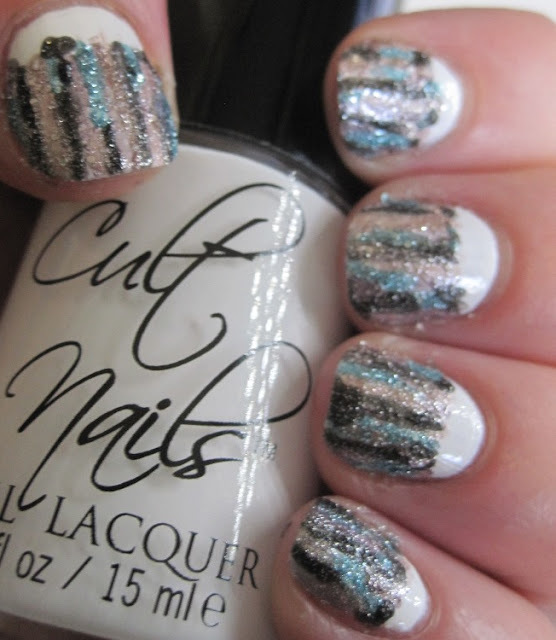 Then I took a nail art brush and painted stripes of all the 4 different Orly FX colors, leaving some of the white at the top. I did partial stripes, full stripes, thinner and thicker ones - whatever I wanted. This look is so easy, and everything goes. 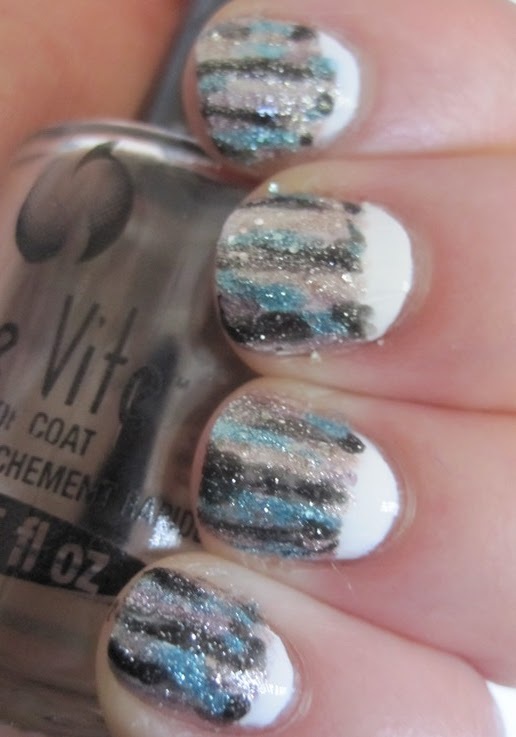 I even tried it with topcoat to see how it looked. 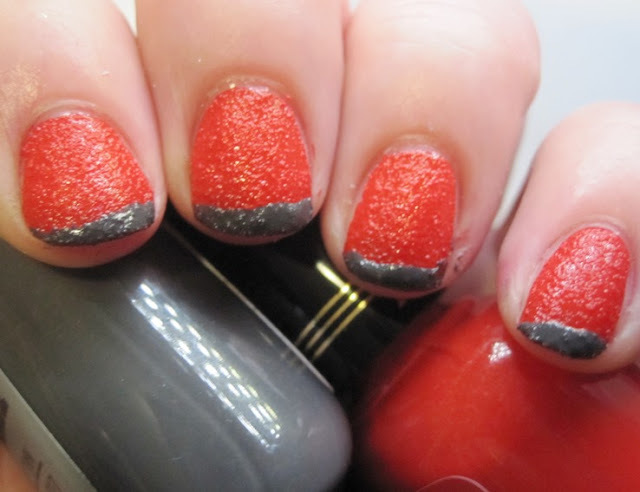 If you don't like the feel of the texture, topcoat smooths everything out. Bottle shot: Black Pixel, Plum Pixel, Aqua Pixel, and Rose Pixel. So, are you a fan of these textured polishes? Do you like the sparkle or prefer it toned down with topcoat? I wasn't going to buy any of your new bottles, because they irk me. But, it's just packaging, and is really *is* what's inside that counts. And what's inside these FX polishes is TEXTURE. I bought 4 of these lovelies, and I'd like to show you two today with a little demo of a neat trick, and 2 tomorrow with some nail art. Black Pixel. Black and silver glitter. Not as smooth as a Zoya Pixie Dust, but fairly comparable. Not as gritty as a Julie G Gumdrop, or OPI Liquid Sand. I had read on the Interwebs that layering any polish over a texture would then make that polish look textured. Well, yes and no. Let me show you what I mean. I layered Julep Isla, a metallic white, over Black Pixel. There is some texture, but it takes a while to appear, and it's less noticeable from a normal viewing distance. Rose Pixel. This is a light champagne gold, very shiny and pretty. Most of them got bumpy, though it took forever. 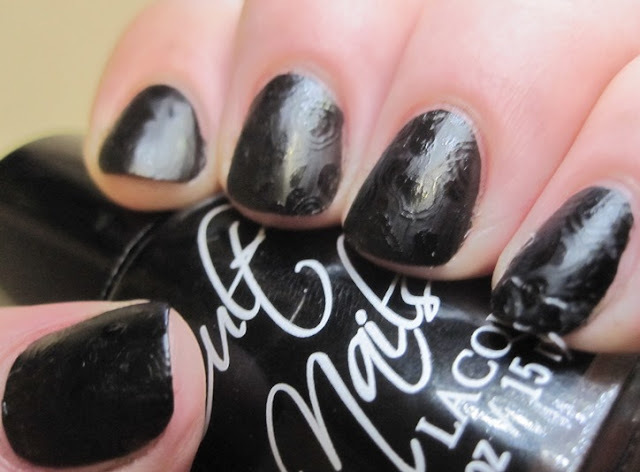 The Cult Nails was the smoothest, likely because the matte finish dried before the texture could appear. 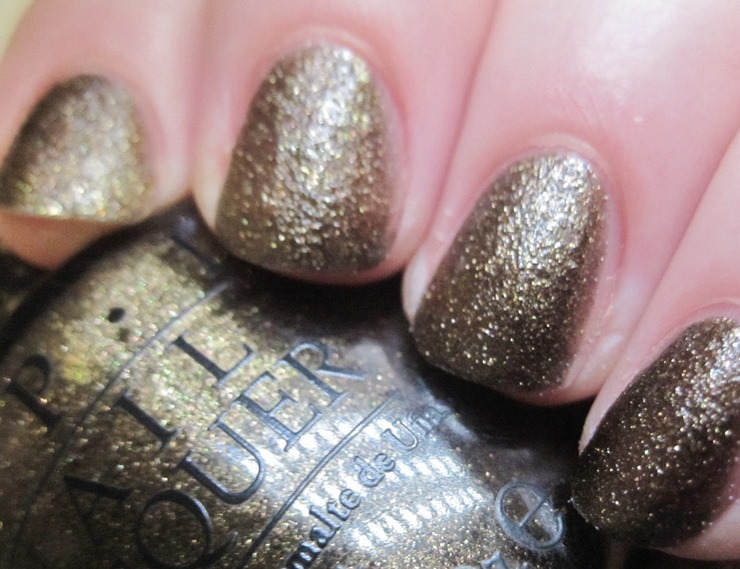 Zoya Pippa showed the most texture, while Baker St showed the least. 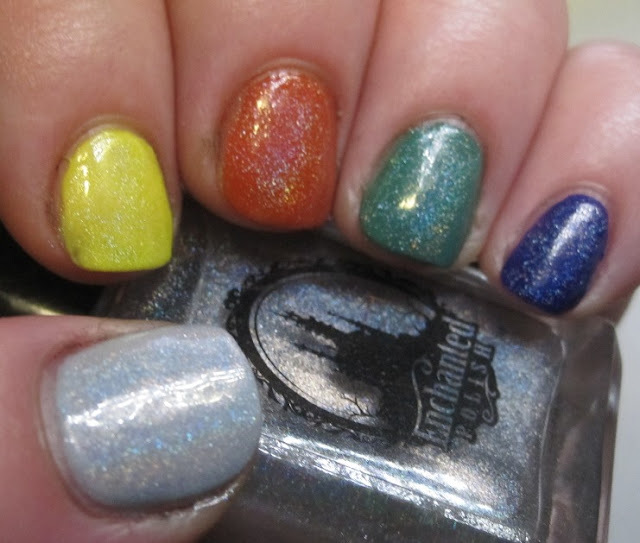 The holographic was interesting - no more linear rainbow, but the color and the silver sheen are still there. So, if you wanted to try and make your own shades of textured polish, I'd recommend a light-colored one like Rose Pixel, and polishes with a thin, slower-drying formula. Would you try it? With apologies to Cristina Aguilera, every time I see this polish, I sing that song! I recently scored a bottle of Enchanted Polish Djinn in a Bottle, the holo topcoat, and I wanted to give it a few tests. A-England Camelot. 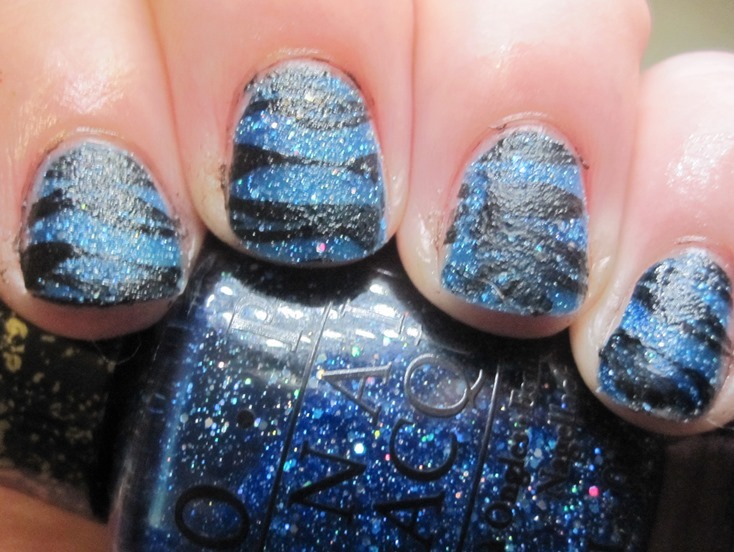 Well, it's not much of a test to put a holo over black, is it? I mean, if it's going to look good over *anything* it should be black. And, it doesn't get any glossier or blacker than this beauty. The rainbows do come out to play! 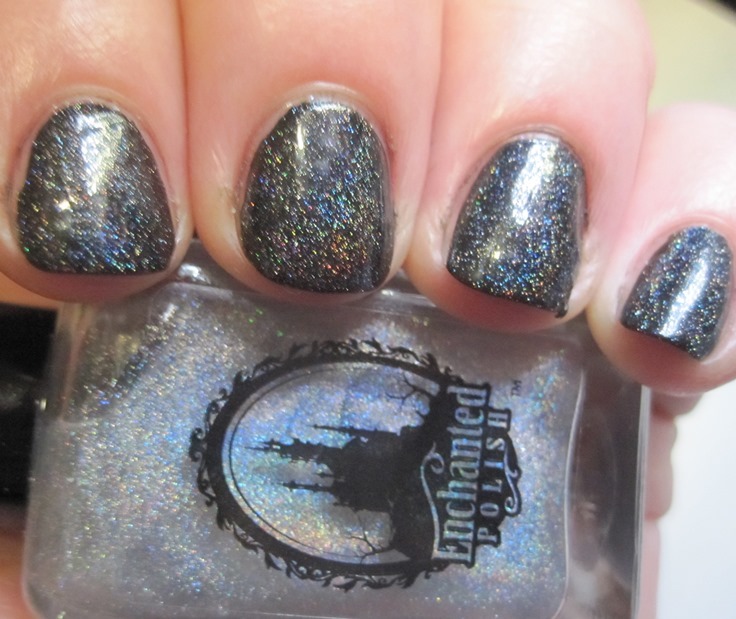 It's really hard to get a true black holo polish because the silver spectraflair gives everything a grey tone. Certainly true using Djinn over black. It's much greyer than before. I made a Julep rainbow for you! 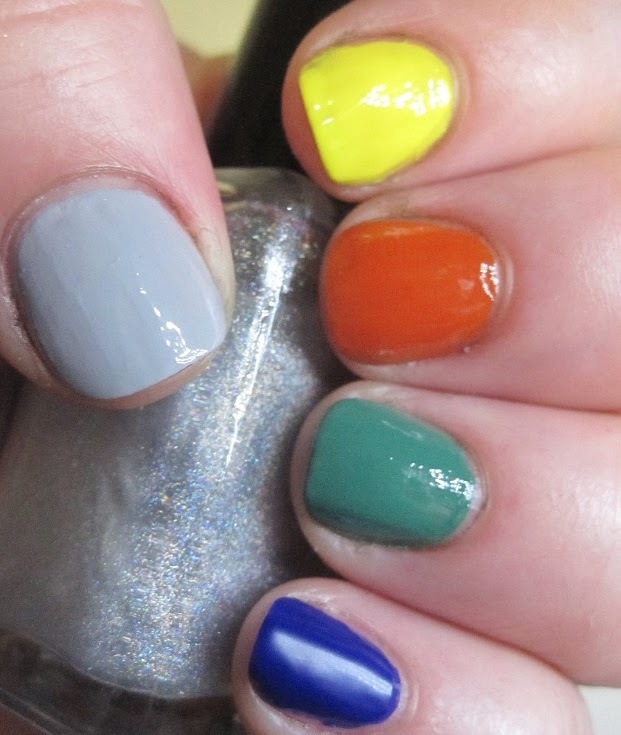 From thumb-pinky: Dendrie (grey), Abbie (yellow), Ingrid (burnt orange), Emilie (green), and Eden (neon purple). Bottle shot: Dendrie (grey), Abbie (yellow), Ingrid (burnt orange), Emilie (green), and Eden (neon purple). I think my fave is actually the grey! Very subtle, and lovely. I also like it over the orange. What about you? Any faves? Do you think it performs better, worse, or the same as other holographic topcoats you've seen? 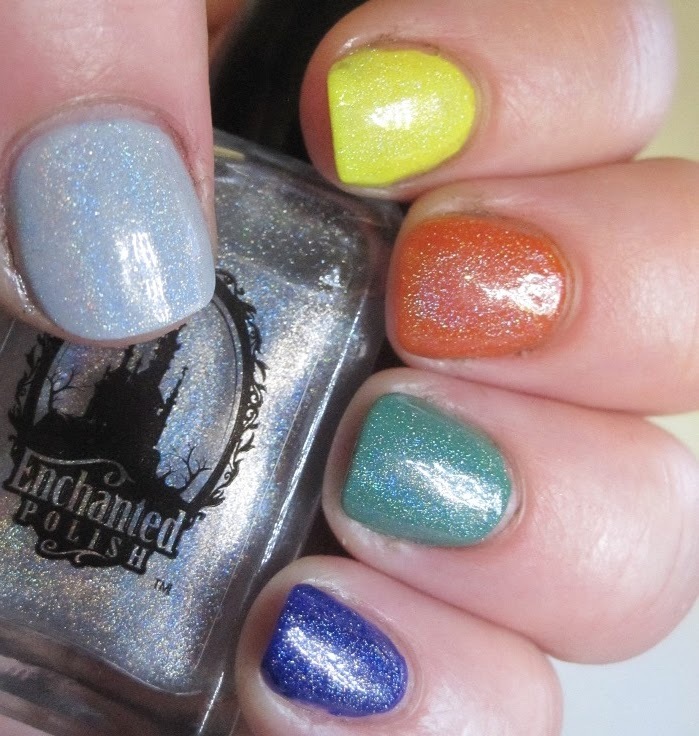 It can be nearly impossible to score Enchanteds in her frenzied restocks, so you'll have to weigh for yourself whether it's worth stalking, but if you'd like more information on Enchanted Polish, you can find her on Facebook and her shop. Guest post from Brijit of Brijit's Digits! Guest Post on Brijit's Digits! Northern Outfitters.. or Urban Star? Sunday Stamping - Orange you glad it's Orange?